Anthony Venn-Brown is a specialist in the history of the so-called ex-gay movement — globally but especially in Australia, where he’s from. Rainbow Association Malkus’ project From burden to resource invited Venn-Brown to Finland for Helsinki Pride. In the early 70s Anthony participated in a program that predated the Exodus movement. His experiences were painful and only part of several attempts over a 20-year period of trying to change his sexual orientation. Later he wrote an autobiographical bestseller called A Life of Unlearning about these experiences. Nearly 20 years now Anthony has worked as Australia’s most well-known activist against religious conversion/reparative therapy. Recently he has been researching for a book in which he delves into the early roots of the ex-gay ideology. He emphasizes in particular the relevance of the Jesus movement and charismatic revival movements in general, as well as the 1946 English translation of the Bible in which the word “homosexual” appeared for the first time. Sexual orientation conversion ideologies often involve theories that emphasize the relevance of early childhood relations, particularly to one’s mother or father. This is true also in Finland. The emphasis is not necessarily on sexual orientation or gender identity, rather the work involves a broader notion of brokenness and reparation through the power of faith. But because there is often an underlying conviction that “the good life” equals a heteronormative nuclear family, it follows (however implicitly) that being gay, transgender or non-binary are understood as expressions of brokenness. Some of the still existing groups have now morphed into what we would call a celibacy model. So they don’t preach change anymore. But they’re preaching ‘well, this is the way you are, you just can never act on it.’ Now, the problem with that is that nothing has changed around the philosophy except one thing. And that one thing is that God can change you. All the other garbage about you being broken, about it not being God’s order and it being unnatural and caused by a dysfunctional upbringing—all those things still exist. There’s only one that isn’t there and that is that God can change you. Those other four are just as damaging, given within a belief system where you are somehow lesser if you’re gay, lesbian or trans. In this podcast Peik Ingman, project coordinator in the project From burden to resource, talks with Anthony about the historical development of the ex-gay movement, its connections to religion and the challenges he has faced in trying to educate people about its destructive effects. From burden to resource is Rainbow Association Malkus’ 3-year project, aimed to support the well-being of LGBTIQ-people with a religious/spiritual background. The project organizes support groups and activities, charts experiences involving religiosity/spirituality in the lives and relationships of queer, transgender and non-binary individuals. The project aims to improve the prospects for religious/spiritual communities to take into account the needs and concerns of their LGBTIQ-members, through education and mediation. The project also addresses the ability of LGBTIQ-organizations to facilitate the needs and concerns of their community members that have a religious/spiritual background. The Queer History Month is organized for the first time ever in Finland during 20.10-20.11.2018. The month is coordinated by Seta ry and Culture for All. 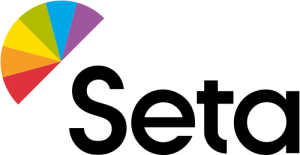 The history and cultural heritage of Finnish sexual and gender minorities is made visible during the month by several central cultural and memory organizations. 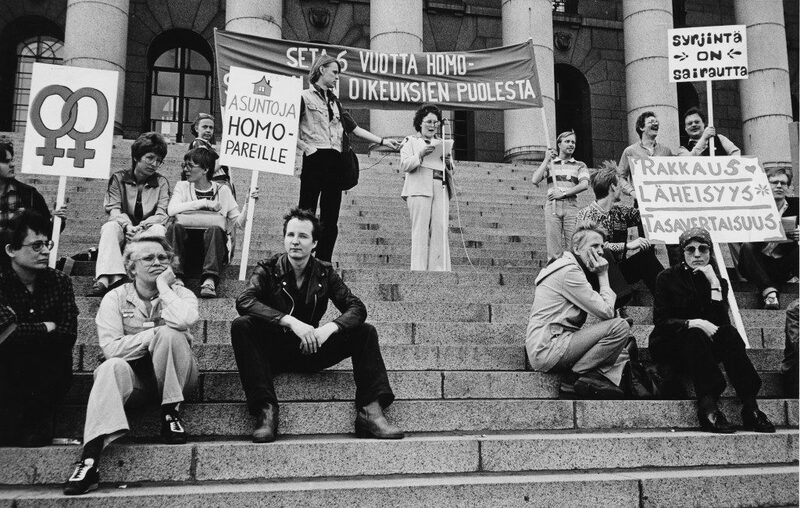 Participants in the Queer History Month includes for example the Labor Archives, the Finnish Labour Museum Werstas, Aine Art Museum, Ateneum Art Museum, AV Arkki, Finnish Literature Society, Goethe Institute, Helsinki City Museum, National Museum, National Theater, Swedish Literature Society in Finland and Yle Elävä Arkisto / Archive. Seta ry and Culture for all welcome all memory organizations and art institutions, schools and associations as well as private individuals to participate in the celebration of the Queer History Month. The purpose of the month is to review Finnish history and culture from a queerperspective and include the queer story in our common cultural heritage. The program during the Queer History Month inlcudes among others an event queer history within the theatre world, a history event about the work for LGBT rights in the Parliament and Setas remembrance evening aimde for rainbow seniors. 2. Organize discussions, seminars and exhibitions in connection with the history of LGBT. Tools and ideas for queering culture events can be found here (in Finnish and Swedish). Seta ry and Culture for All will spread information about these events through their own channels. 3. By offering LGBT-related materials to archives and network services for collecting memories for example by submitting or sharing memories through the @Unohtumattomat hetket -Facebookpage or webpage. Another similar online service for memory gathering i Muistikko. The last week of the Queer History Month is dedicated to gender diversity and transgender persons. The month ends 20.11.2018 with the Transgender Day of Remembrance. Seta brings all program together on the website: https://seta.fi/historiakuukausi/. On the site will be a calendar, where all the Queer History Month program are available. Seta makes at least two FB updates of each event. In addition, the events are included in Seta’s newsletter and in the news Seta’s webpages. Are you interested in lgbtiq human rights issues internationally? Would you like to work with other lgbtiq activists and experts with passion towards international lgbtiq-questions? Apply to Seta’s international affairs committee! Seta’s international affairs committee has previously i.e. met with authorities and activists from other countries, paid attention to acute country situations and organised discussions. The international affairs committee supports Seta’s board regarding international affairs. In 2018 the committee can i.e. –participate in supporting lgbtiq activists and organisations especially in nearby regions. Members of the committee are volunteers and do not receive a payment for their work. The committee will hold few meetings and also work via e-mails. Skype-participation at the meetings is possible. You can apply to the committee by filling up an electronic application latest on 12 January 2018. Have you experienced or witnessed hate speech or harassment? We invite you to share your experiences! The purpose of our survey is to get more information about hate speech and harassment: What kinds of hate speech or harassment have you experienced or noticed and how has it affected you and your loved ones? Target groups of this survey are particularly the following minority groups: people whose mother tongue is not Finnish, foreign citizens or persons with immigrant backgrounds, Finnish-Swedish, Finnish Roma, Samis, disabled people, members of sexual and gender minorities, and members of religious minority groups. By harassment we mean actions such as hurtful speech, e-mail messages, or gestures. By hate speech we mean an expression or speech that is expressed publicly (e.g. in a public place, on the Internet or in the media) with the intent to spread, provoke, maintain or justify hate towards minority groups or other groups of the population. You define what constitutes hate speech or harassment for you; what kinds of expressions or gestures you have found to be hurtful or threatening. For example, such actions may have influenced your feeling of safety. A similar survey has been carried out in autumn 2015 as part of the activities of the system for monitoring discrimination. The results are published in the ”Survey on hate speech and harassment and their influence on different minority groups”-report. The aim of this survey is to show how hate speech and harassment are perceived by different minority groups. Another aim is to produce information about how hate speech and harassment influence feelings of safety among members of different minority groups. The survey is conducted by Owal Group Oy in cooperation with the Finnish Ministry of Justice. The questionnaire responses will be handled confidentially and they will not be handed over to third parties. The survey report will be prepared in such a manner that no individual respondent can be identified. You can complete the survey questionnaire until 31 December 2017. The questionnaire is available in Finnish, Swedish and English. It will take about 10–20 minutes to complete the questionnaire. – to plan a support program for the benefit of lgbtiq human rights defenders active in the Finland’s neighboring regions (particularly Russia) (as required by Seta’s program for 2017). Send a short application (max. 1 A4 paper) explaining why do you want to join the committee and what kind of relevant experience and interests you have. The applications must be send latest 28 February to Secretary General Kerttu Tarjamo at paasihteeri(at)seta.fi. Remember to include contact information and also please indicate whether your name can be published if you are selected to the committee. More information, Kerttu Tarjamo, 050 309 8108.